Do away with messy rolls! 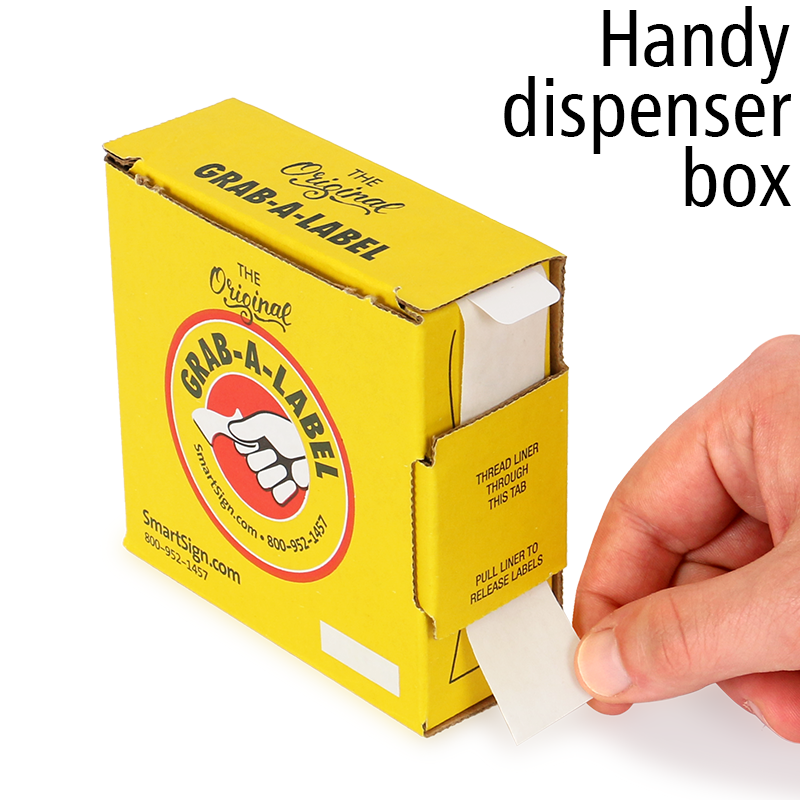 Get a more organized and easy to handle label dispenser. 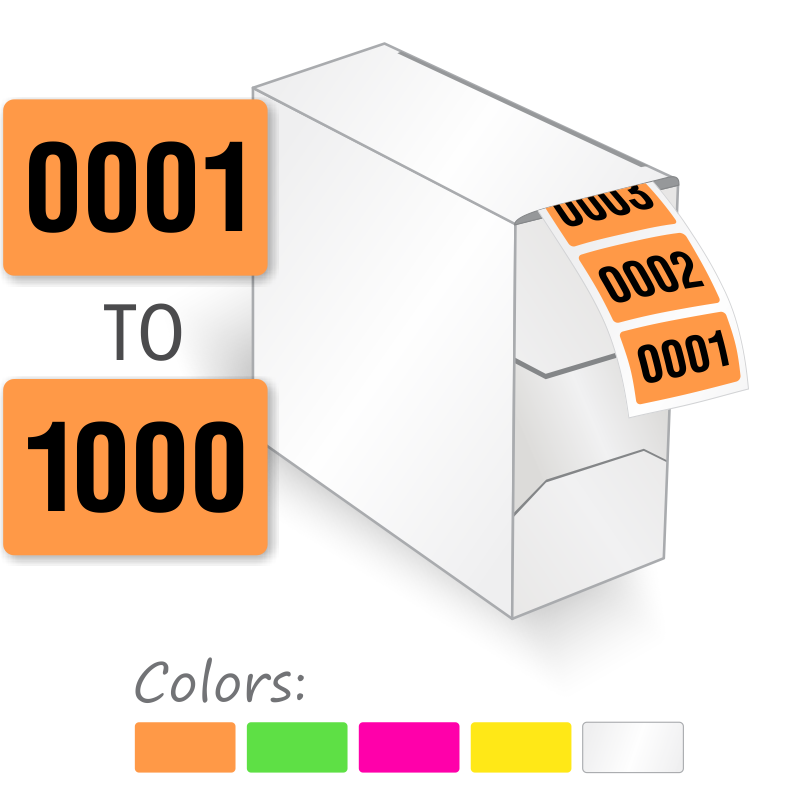 This one comes with 0001 to 1000 Sequential Number Labels. 0.75" x 1" stickers come in five colors. Take your pick! 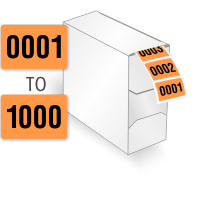 Labels come on a roll inside a dispenser box. 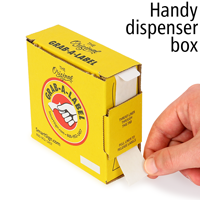 Labels come on a roll and in a dispenser box.